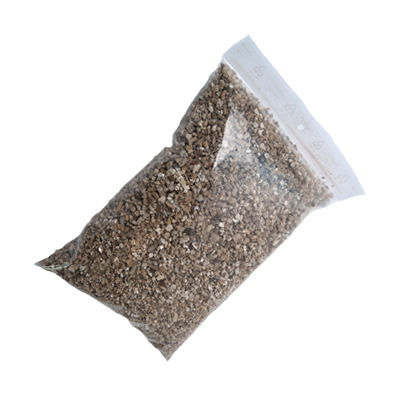 Vermiculite is a naturally occuring mineral. The use of vermiculate is wideranged and there are several grain sizes (grades). Vermiculate grade 3 is used by cultivators and gardeners as the perfect soil conditioner. Grade 3 gives nutrients and support to roots and mycelium. Grade 3 Vermiculite also leaves plenty of room for the soil to let air run through.